President's Day or Washington's Birthday? The story of the holiday popularly called President’s Day begins shortly after the birth of our nation. Revered in life and venerated in death, George Washington was viewed from the nation’s earliest days as the most important figure in founding the United States. In fact, the first public celebration of George Washington’s Birthday was in 1796 while he was still very much alive and still serving as President. After Washington’s death in 1799, February 22nd became a widely observed day of remembrance. Its popularity grew throughout the 19th century but it remained an unofficial holiday. In 1879 Congress designated Washington’s Birthday a legal holiday in the District of Columbia but it was not until 1885 that Congress finally made it an official national holiday. In 1968, the U.S. Congress passed the Uniform Monday Holiday Act, which moved certain holidays from specific dates to designated Mondays, including moving Washington’s Birthday from February 22nd to the third Monday in February. One of the Act’s authors and its staunchest advocate was Rep. Robert McClory of Illinois. Though McClory sponsored the Act primarily because of what he saw as its positive impact on business, he also put forth a provision that, since the holiday would always fall between Lincoln’s and Washington’s birthdays, it be renamed Presidents’ Day and that it be a commemoration of both presidents’ birth. McClory’s renaming provision died in committee and the official name of the holiday remains Washington’s Birthday to this day, but a seed had been planted. The Uniform Monday Holiday Act took effect on January 1, 1971. Many people assumed that, since the holiday was moved from February 22nd, it was intended to honor both Lincoln and Washington. Retailers recognized the three day weekend in mid-February as an opportunity to boost midwinter sales and began promoting “Presidents’ Day” sales campaigns which further solidified the concept of Presidents’ Day in the public consciousness. Today, while the federally recognized name of the holiday remains George Washington’s Birthday, more than two dozen states call it Presidents’ Day on their official calendars, but exactly which presidents the day is meant to honor varies greatly from state to state. The vintage postcards pictured above are part of a collection on loan to the Historical Society by River Forest resident and collector Joe May. 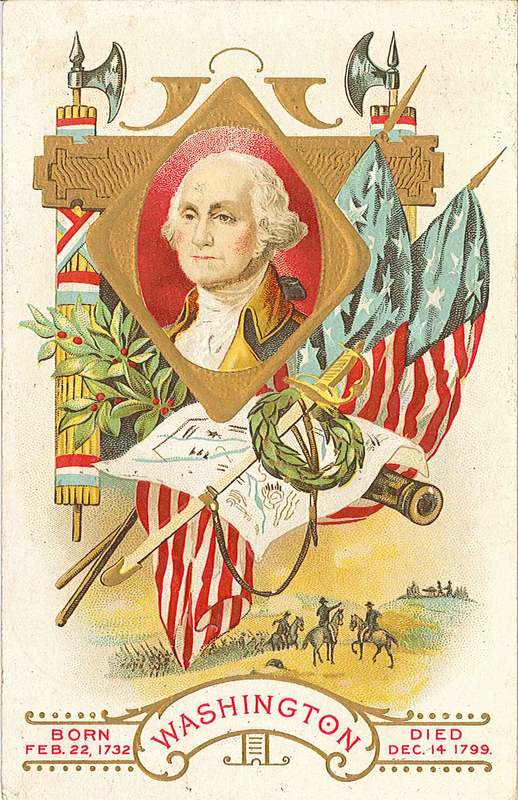 This collection is part of a temporary exhibit currently on display which includes vintage postcards of Abraham Lincoln, George Washington, and St. Valentine's Day.